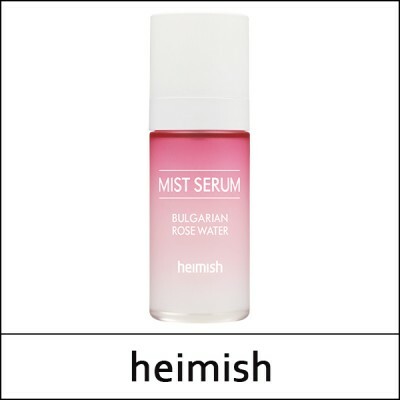 Heimish Mist Serum is an ingenious, deeply hydrating formula designed to deliver refreshing moisture to skin any time of the day. 88% of this mist serum is Bulgarian rose water full of skin-benefiting vitamins and minerals. With the pH balancing, detoxifying and ultra hydrating properties of rose water, this mist-type serum quickly absorbs to refresh and hydrate skin. Fragrance, dye and irritant free, every ingredient used in this formula is safe and gentle with the EWG rating of only 1 and 2. After cleansing, shake and hold the bottle 20-30cm away and spray. Follow with serum and moisturizer. Use throughout the day to freshen up skin.